August 22, 2016 (Source) — GTA Mining and Resources Inc. (TSXV: GTA) (“GTA” or the “Company”) reports assay results from the first phase of the 2016 drilling on the Northshore Property located in Priske Township, near the town of Schreiber, Ontario, approximately 200 km east of Thunder Bay or 125 km west of Hemlo, Ontario. Phase 1 consisted of 36 (NQ size) shallow holes (between 11 and 41 metres) totaling 866 metres. Drilling focused on delineation and expansion of the near surface, higher grade mineralization of the Afric Zone, specifically the previously identified Caly and Audney vein systems. Two series of holes were drilled; the “A” series holes, (17 holes totaling 512 metres over a strike length of 60 meters) to test the Caly vein system, and the “D” series holes (19 holes totaling 354 metres over a strike length of 100 meters) to test the Audney vein system. *Note: Please see the table below for a more complete list of calculated averages. Also, for complete disclosure, a full list of all assay results from this program will be available on the company’s website at www.gtaresources.com. These high grade values are associated with visible gold mineralization occurring within quartz veins and veinlets. The host felsic porphyritic rocks exhibits widespread alteration including quartz, carbonate, pyrite, tourmaline sericite and localized potassic alteration. Multiple occurrences of visible gold were noted in many of the holes. GTA is in the process of compiling this new data with the previous drill data to further investigate the potential economics of the near surface gold mineralization. It is expected further drilling will be required to fill in areas which require additional drill information. This additional drilling is expected to begin in early September, and should take less than a month to complete. Also, preliminary metallurgical testwork is currently being carried out on two composited drill core samples to determine gold recoveries. These samples were selected from each of the Caly and Audney vein systems. These preliminary metallurgical results should be available within the next few weeks. Earlier this year GTA completed a flow-through financing and is fully funded to complete this phase of exploration. Additionally, GTA has applied for and received approval from the Junior Exploration Assistance Program (“JEAP”) to assist with the drilling program. Based on budget estimates, GTA expects to receive a grant of approximately $ 75,000 from JEAP upon the completion of exploration and the filing of a final report. The Northshore Property is a joint venture with Balmoral Resources Ltd. (see press release dated Aug. 18, 2014). GTA is the operator and owns more than a 51% interest in the project. GTA will be funding 100% of this proposed field work as Balmoral has opted not to participate in this phase of the program and will be diluted accordingly. QA/QC – The planning, execution and monitoring of GTA’s exploration programs on the Northshore Project are under the supervision of Robert (Bob) Duess, P. Geo. (Ontario), VP Exploration of GTA. Mr. Duess is a qualified person as defined by National Instrument 43-101 and is also the Qualified Person for this release. Mr. Duess has supervised the work programs on the Northshore Property, supervised the collection of the samples and drill core described herein and reviewed the assays and QA/QC data. Mr. Duess has also reviewed and approved this release. ABOUT GTA – GTA is a well-funded publicly traded mineral exploration company. 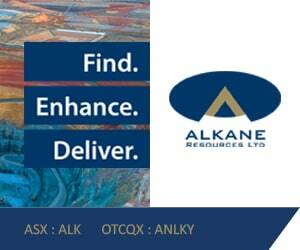 It is led by an experienced and successful management team and is focused on exploring for gold and zinc in Canada. GTA is a tightly held company having 39,946,855 shares outstanding of which insiders control approximately 21% and its JV partner holding an additional 8%. The Company’s shares trade on the TSX Venture Exchange under the symbol “GTA.” The Company currently has two projects located in northern Ontario: the 51% owned Northshore Project, near Schreiber and the 100% owned Auden Project near Hearst. GTA also owns a 100% interest in the Burnt Pond Project in central Newfoundland, proximal to the past-producing Duck Pond Cu-Zn Mine.